Whilst it is considered much more low-key than the neighbouring island of Majorca, Menorca is still a fantastic place to go on a group holiday, especially if your focus is on relaxation. In Menorca you will find numerous beautiful, unspoilt beaches, crystal clear waters and rustic countryside settings. It is the perfect place for you and your friends to visit if you want to spend your holiday exploring and relaxing, rather than partying 24-7. Here we will share some of our favourite activities for groups holidaying on the island. What better way to see Menorca’s glorious country landscapes than on horseback? There are many riding clubs around the island which accommodate for all levels of horse riding experience. Whilst getting to see the islands beautiful woodlands and rural countryside, you are also sure to have a laugh with your friends, especially if there are a first-timers in the group! Horse riding trips in Menorca are particularly popular in the spring and autumn, so we highly recommend that you book your group trip in advance. 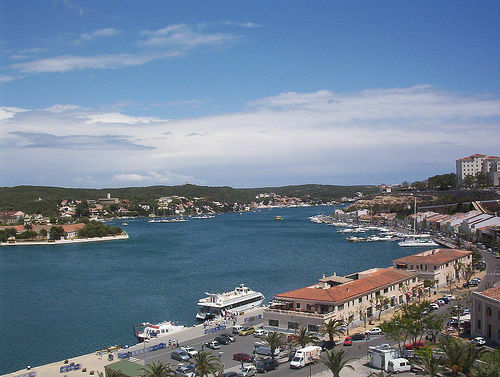 One of the best ways to see the most historic parts of Menorca is to take a boat excursion around Máo harbour. Many boat tour companies accommodate groups, taking them around the harbour so that they can see key sights including La Mola Fortress, the Isla del Rey British Military Hospital, Lazaretto Quarantine Island and Fort Marlborough. When booking your group tour around the harbour, make sure that you choose one of the glass bottomed boats, as these enable you to witness spectacular underwater views, as well as the fascinating historical landscapes. If you fancy doing a little exercise, why not visit Monte Toro for a group walk? Monte Toro is the highest hill in Menorca, towering three hundred and fifty eight metres above sea level. After a trek up the steep hill, you can witness breath taking views of the entire island. At the peak of the hill you will also find a church and convent. During May to October the nuns living there open their doors to the public. There is also a gift shop where you can pick up a souvenir of your trip. Menorca has some of the clearest and cleanest waters in the western Mediterranean. There are a number of ports and beaches where you can go diving as a group. The diving companies located around the island provide diving excursions for all levels of ability. Whether you want to all go on a tuition course or simply hire out the equipment, they will be able to accommodate your needs. One of the most popular places to go diving is the Marine Reserve, which is just off the northern coast of the island near the bay of Fornells. The Marine Reserve is the best place to see a variety of sea life including John Dorys and Barracudas! If you and your group fancy doing a little partying on the island make sure your trip overlaps with one of the island’s famous fiestas. Around eleven fiestas take place across the island between late June and early September. Experiencing a traditional Menorcan fiesta is something that you will never forget! One of the biggest fiestas takes place around the 24th June every year in Ciutadella. If you fancy heading out as a group one evening, make sure you head to the Cova d’en Xoroi. This is a unique bar which is built within caves that are set twenty five metres above sea level. Whilst sipping on one of their delicious cocktails, you can watch the sun go down and chat about your Menorcan adventures. The bar is open until the early hours for those that fancy sticking around for the party! 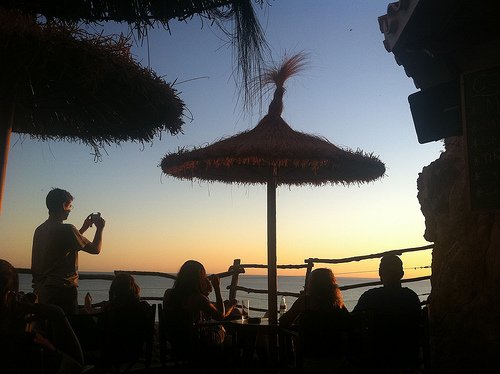 If you are planning a group holiday to Menorca, you certainly won’t be short of things to do. Whether you fancy going horse riding through the countryside or simply want to relax with a cocktail in hand at one of the island’s bars, there is something for everyone to enjoy.